Film promotion is the essence of filmmaking. The effort you have been spending on film production will be wasted if you cannot find an effective marketing strategy. This is the only way the public get information about your film; therefore it is essential to attract as much attention as you can. 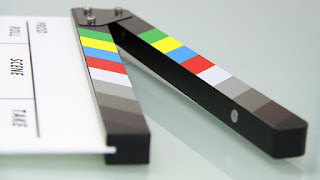 Film promotion companies help market your film in several ways such as press release, advertising, franchising, merchandising, and many others. One of the strategies to market movies is through film marketing campaigns. It is commonly conducted, but not limited to advertising. Production house will invest in a marketing campaign to maximize their revenue in the early release cycle. Some marketing companies require a huge budget for film promotion—it equals to half of the production budget. To market the movie, promotion companies will apply some techniques. Aside from holding press releases, the film promotion companies also hold interviews with key people who are involved in the filmmaking. Below are the most common techniques used by promotion companies to market the upcoming movie. Trailers are one of most effective film promotion strategy. In theatre, trailers are commonly showed before certain movie showing. This is how the companies tell moviegoers about the upcoming movies. The 2.5-minute trailer generally makes moviegoers curious and come to the theatre to watch the whole film. Besides, theatre is also a strategic place to show film posters and cardboards. It sounds old and conventional but still effective for promotion. Promotion technique on TV is quite different to theatre. Here, film promotion companies place 30-second advertising about the upcoming film. Television remains an effective media to deliver content; this is why the companies do not want to miss the chance. Furthermore, an interview with actors and important people involved in the film is another strategy used by promotion companies. People love to know the film from another point of view—actor or director. Thus, conducting an interview is also effective to make your work recognized. Internet and social media are another gold mine promotion companies should not waste. There are many techniques when it comes to film marketing through internet. Free trailer distribution on certain websites increases the popularity of the certain movie. Besides, posting creative content about the movie along with hyperlink is considered effective for film promotion. Another strategy to make use of the internet is through digital film screener. It lets you send copies of the film to sales agents, press, and distributors with a different expiry date. This is another effective way to market your work as you can control the recipients. It also allows you to see the reports of viewers. How to promote a movie on social media?